Las Vegas hard rock outfit Five Finger Death Punch has posted a new preview of music off the band’s much-anticipated, upcoming studio album, “And Justice for None,” and it comes in the form of a new song, called “When the Seasons Change.” The ballad is available now via all the usual digital outlets, and a lyric video for the tune is streaming now via YouTube. “And Justice for None” will arrive on May 18. 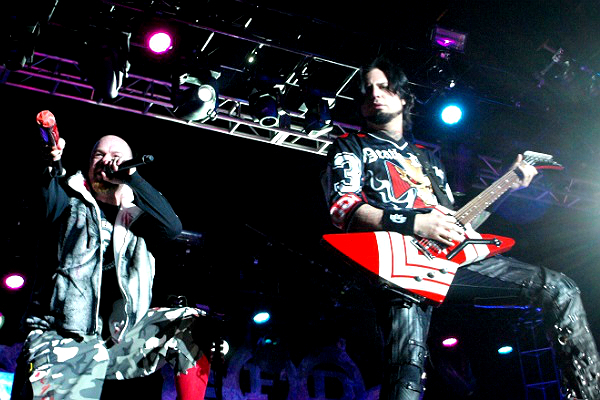 Five Finger Death Punch is slated to embark on a co-headlining tour to support the album with Shinedown. That run kicks off on May 6 in Nashville, Tennessee, and Five Finger will follow up that tour with another co-headlining trek with Breaking Benjamin in July. Find the band’s full tour via their official website.